Life is marked by unexpected moments, pockets filled with unforeseen and precious magic. In my wildest dreams, I could never have imagined finding myself in Jhumpa Lahiri’s Brooklyn kitchen, watching her make coffee for me from an Italian moka machine. Thus began a several-months-long chat, which ended in Trastevere, Rome, with an espresso. Over these months, I learned about her languages, her exile, her bewilderment and joy, and above all, a tale of a great love. How do you tell the story of falling in love? Perhaps by describing the things that falling in love makes us do, like being patient, being joyful, and even suffering. “Desiring to give oneself,” as the Italian poetess Antonia Pozzi wrote in 1935. Lahiri, who is madly in love, knows this well. In her heart, in her eyes, in her daily efforts, there is a language: Italian. There is a city: Rome. She has dedicated herself to the Italian language for years, offering to it her devotion, the suffering generated by mistakes, and the joy felt in triumphant moments. “When you are in love, you want to live forever,” she says, “and I don’t want to die, because my death would mark the end of the discovery of the language”. 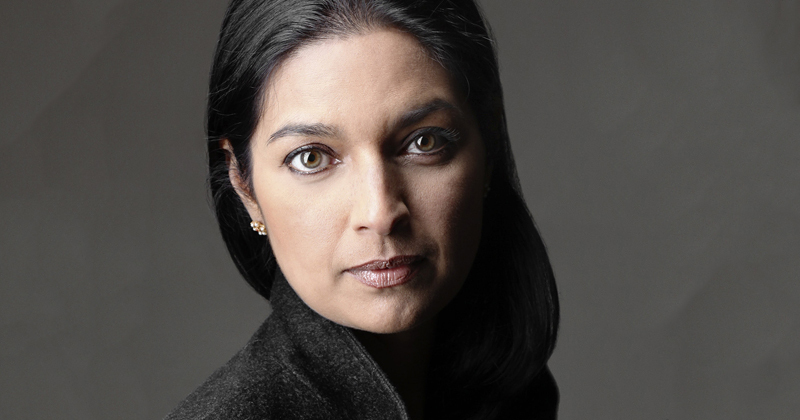 Jhumpa Lahiri was born in London to Bengali parents and then raised in the United States. After winning a Pulitzer Prize (for her first book, the collection of short stories The Interpreter of Maladies, published in 1999), and publishing three other books (The Namesake, Unaccustomed Earth and The Lowland), she made a decision that seemed crazy to many: she decided to move to Rome and begin writing in Italian. It was an exercise that came about spontaneously, and then became a necessity, a means to immerse herself in a new world, to become a new Jhumpa, to go in search of that something “that can change our life,” which exists “always outside of us.” From this need a book was born, written in a library in Rome’s Jewish Ghetto. Its title is a subtle wordplay: In altre parole (In Other Words), translated by The New Yorker editor and Elena Ferrante’s translator Ann Goldstein. Francesca Pellas: “There was a woman who wanted to be another person”: This is the opening line of The Exchange, a short story you wrote in Italian and then included in your book In altre parole. It’s also the beginning of your own metamorphosis into another writer. What pushes someone towards a transfiguration? Jhumpa Lahiri: A sense of frustration, of dissatisfaction. I used to look for an identity that could be sharp, acceptable, mine. But now the idea of a precise identity seems a trap, and I prefer an overabundant one: the Italian piece, the Brooklyn one, the Indian one. Identity is a completely fluid thing, and metamorphosis has this concept in it. Ovid, too, speaks about this fluidity, and reading Ovid always helps me. FP: You write that [Ovid’s] Metamorphoses is a very important book to you. JL: Yes, it’s fundamental, and it keeps getting more important every day: it explains everything to me. To translate, too, is a kind of metamorphosis. I translated a book (Ties, by Domenico Starnone, published in the US by Europa Editions), I teach a class in translation at Princeton, and the subject is always the same: metamorphosis, transformation. When a being, an entity, becomes something else. FP: Two writers: one well-versed in English, the other still exploring Italian. How do these two natures live together in everyday life? JL: I feel exposed, vulnerable, as it should be. An artist has to experience this condition. At some point I became a successful writer, and I’m grateful, but when I write, when I try to write, I always feel uncomfortable. You need to dig where you don’t feel comfortable. In this book, I ask myself: what am I running away from, why this metamorphosis, why this escape, where do I have to get to, what am I trying to leave behind? The answer, I believe, is that I’m seeking the freedom to write in my own way, to write whatever I want in whichever language, form, length, and without any pressure. FP: To which pressures are you referring? This sense of expectation is a heavy burden, and takes away my appetite for writing. I would rather find another job. Because to me, writing means freedom, and therefore when I find myself in a cage, in a trap, or in front of someone who tells me “No, you have to write like this, in this language, about these subjects and conditions.” I get a very unpleasant feeling. Of course, one always has to expect to be judged, but some judgements can be damaging. FP: Which criticisms hurt the most? JL: “You have to follow a path, you have to obey, you have to write for others.” Well, I don’t think so. I know that writing is a way of expressing oneself, of communicating. But it’s not made for the reader. Of course there will always be a reader; but when I write I don’t think about that hypothetical person. I believe that many successful writers do write keeping the reader in mind from the beginning, and this is very dangerous. When I first started talking about this project of mine, a few years ago, many told me: “Don’t do this, this is a misstep, you don’t have to, don’t”. And I’m not talking about Italian writers: most of them were American writers. I asked them: Why, why can’t I? I didn’t understand this preconception. And they said “The reader doesn’t need this experiment.” Well, I don’t agree, because I think that writing must also be a selfish act. A book might reach out to someone else at some point, after years, or maybe never at all, but it is not up to me to write with this idea in mind. Writing is, above all, an internal dialogue. FP: Otherwise you couldn’t give the reader something truly authentic? JL: Exactly. It is my approach to writing: it’s always been like this, also with my first books, also when I was writing in English. Writing in Italian is a difficult path, a very private one, where I have the feeling that I’m never truly safe. But this is how it should be; the sensation is good for me, and it’s important for me to go on. FP: You say that your mother tongue, Bengali, in a certain sense is your first foreign language. Born in England to Bengali parents and raised in the United States, you have written that you are “exiled even from the definition of exile.” Growing up among two languages, but none that felt like your own . . . how much has this contributed to driving you towards a third language? JL: I was without a doubt driven by the desire for a language to call my own. With the Italian language I have an extremely close relationship and an enormous love. When I was a girl I wanted to possess another language, and through it find a precise identity, a culture, a country, a hometown. Now the definition of possession strikes me as another trap. And so it’s fine to always have a strange sort of relationship with the languages of my life. And this slight separation between me and Italian is okay, even though it’s painful. Every relationship with a language you choose and love is an ascending path: wonderful, exciting, with many ups and downs. A life path. Italian is the language I have chosen: I cannot say “foreign”, because when I speak and read in Italian I feel at home. I feel this strong sense of belonging, even if it’s not real because I’m not Italian. Italian does not belong to me completely, and yet it belongs to me because it’s a relationship I have chosen and strongly wanted. The problem with English and Bengali is that they have both been imposed. While Italian is an unusual path, an unexpected one, and comes from me only. English just comes from the environment, because I grew up here. FP: As you say in the book, English was not the language in which you were loved. JL: Exactly. At the same time, with Bengali the relationship is also far from perfect; it’s odd and imposed. And it represents my parents now because it’s a language I only speak with them. Yes, I go to Calcutta every now and then, I have many relatives, and here in the US my parents have a very big network, so the language lives on, exists. But it’s always filtered through them: they have always been its vehicle. I don’t have an independent life in Bengali; I always feel like a daughter, a little girl. But I was in Calcutta alone for the first time last December, and of course I had to speak Bengali without my mother or father present. FP: And how was it? JL: Interesting, beautiful. Much needed. FP: There is a fun passage in the book in which you write that everyone always assumes that you don’t speak the languages you actually speak. JL: Yes, it strikes me all the time. It really happens. In Italy everybody speaks to me in English, everything is an “Oh, sorry!” In Brooklyn it happens less often, because Brooklyn is a particular place, but sometimes there is someone who asks me “Oh, you do speak English? You understand what I say?” And of course in India too: there everyone thinks I’m a foreigner, a hybrid, a creature with no real mother tongue. FP: In the book you come up with a definition for that sensation: you call it “the void of my origin.” But isn’t your origin much richer, precisely because it’s so multifaceted? Isn’t it in a certain sense a fuller full, rather than a void? JL: Yes, it is. But one has to come to understand it. And for me, that was difficult. 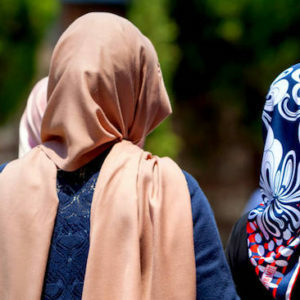 For my mother, for example, identity is either black or white: you’re Indian or you’re someone else. When I was a kid people asked me all the time: “So, Jhumpa, will you marry an Indian or an American?” That question has been my nightmare for years. And always those two options, never a third! An Indian or an American, as if there were no alternative possibilities. And I thought: but there are many countries in between! Maybe I will marry a Russian, or a Greek! And as a matter of fact I married a Greek man. FP: And so here too there was an unexpected choice: not an American, not an Indian, but a Greek. The idea of choosing is interesting: what does it mean to choose? When I was a child it made me so upset: why do I have to choose? Now the fact of having a choice is something I like. I choose Italian, I choose to have an even more multifaceted life, I choose a triangle that is good for me. In my heart, I know that I belong to a few things: my family, my children, my husband, my friends, and literature, the pantheon of the writers I love most. And I belong to Italian. Italian is a great love of mine, part of my identity. FP: How did this great love begin? JL: Everything started with the language. This couch you are sitting on is the same couch where my first Italian teacher used to sit during my first lessons. Then, through the language, began this extraordinary and overwhelming relationship with Rome. The language changed everything: it gave me an extra life. It has even more emotional impact at my age. Because I feel young again, I feel in love, and it’s incredible to not have this feeling for a person, but for a language: it’s even better. It’s an enrichment, and it allows me to give an extra life and a new language to my children too. In a few weeks we will be back in Rome, where we have a house, many friends, certain rituals. Italian has given so much to me, so much, so much. And at this point it has become difficult for me to stay here in America. I miss Rome all the time. FP: What is it like for you, when you are not in Italy? JL: It’s not simple: here it’s a completely different life. The distance, and being parted from the language, are both very painful things for me. Luckily I succeeded in surrounding myself with many people and new Italian friends, both here in New York and at Princeton, but to me even the simple fact of being so far away from Italy is painful. Reading is very helpful with this: I almost only read in Italian now, and I try to speak Italian at least once every day. This morning, for example, I woke up happy because I knew that you were coming here for this interview, and I said to myself: “Don’t worry Jhumpa, today you’ll have the opportunity to speak in Italian for a few hours!” But reading is fundamental. A book is a life jacket. FP: Have you ever tried to look for a profound reason for this great and inexplicable love? Have you ever said to yourself: what if there is a reason that goes beyond? JL: The only thing I know for sure is this one: I was looking for happiness, and I found it in Italian. The first time I saw Rome, after a couple of hours I said to my husband: I absolutely have to live in this city. Why, I didn’t care; I was overcome by a feeling, an urge to be in a place and have a relationship with that place. Just as it happened in Florence, twenty years ago, hearing Italian for the first time, and thinking: I must have a relationship with this language, otherwise there will always be a piece inside of me that is missing. FP: It’s like coming back home, but to a place you have never been before. I had that feeling with the English language first, and then with New York. JL: It’s exactly like that. It’s strange and fabulous. It’s like falling in love: that’s the only possible explanation. I think that for some people, people with less fixed identities, it may be natural to choose, at some point, another place and also another language. My father, for example, chose to go away from India, to come to the United States after a few years in London. The US has been his Rome, in a certain sense. He is 86 now, and he is truly happy to have found this place and to have made a life for himself here, a long life. I often think: why Rome, why Italian, why this language and not another one? But I’m not interested in the why: I’m interested in the how. How to have an even closer relationship with Italian, how to be in Rome more often. Love, I think, asks no questions: there’s no why, you just love, and loving is enough. FP: You were telling me before that Italy and India have a lot in common. JL: Absolutely: two very ancient cultures, the importance of family and roots, the many dialects, the central role of food. The United States, on the other hand, is a very different country, a young one, which in some ways is alien to me. In Italy, in Rome, I feel less lost. FP: Do you notice slight differences in your personality, when you speak these three languages? If there are three different Jhumpas, what are they like? JL: Yes, there are three Jhumpas. In Italian, despite the constant effort, I’m more joyous, lighter. People tell me that I smile more often. And I’m more active: it’s a continuous quest, a life project. When I realize that I don’t know a certain word, I become instantly active. I take notes, all the time, with a notepad, or even just mentally. I’m always attentive, accurate. In English I’m more relaxed, of course. The relationship is more robust: it’s the language in which I learned how to write, the language in which I studied. I’m more relaxed but at the same time more cautious, because English was, from the very beginning, the language of the others, the one spoken outside my home, the language my mother was a bit scared of. FP: You write that “what can change our life always exists outside of us.” What is the first thing that pops into your mind when you think of how your life has changed since your encounter with Italian? JL: Friends. This is fundamental. To make friends in Italian. They are many now, and the relationships with them are very special, different. FP: Why are the relationships with these friends different? JL: I don’t know exactly, it’s as if there is another register, a deeper intimacy, more generosity. I feel like we have been friends forever, “amici per la pelle,” like you say in Italian (literally: “friends for the skin”). They are almost like family for me. FP: What is the dearest memory you have of that first year in Rome? JL: It was one day at a pharmacy. During our first month in Rome my daughter Noor decided to have her ears pierced, and she got a small infection, a quite common thing. We went to a pharmacy, and this pharmacist fixed everything so affectionately. In that moment I immediately realized that Rome was a very compassionate city, and I felt at home. There was this young, very bright, very sweet pharmacist. Noor was crying at first, then she started smiling, and then she was laughing, and I saw it while it was happening. And seeing something like that, as a mother, was an authentic joy. It stayed inside me as a very strong memory, a defining one. FP: The biggest moment of discouragement while learning the language? JL: A visit, before moving to Rome. I went to Milan for the release of one of my books, Unaccustomed Earth, in 2008. And before leaving New York, always on that couch where you are sitting right now, I was preparing for it: I really wanted to make a brief speech, to say something in Italian in front of a small audience, maybe at dinner . . . You know when an author comes to Italy and after the event there is a dinner with 20 people, and at some point you have to say something and make a toast. Well, I remember that during that visit I felt so sad because it was not easy for me to speak Italian. And I wanted it so much! I wanted to be able to answer in Italian during the interviews! But I started and then I couldn’t go on, and sooner or later somebody had to intervene in English. That trip to Milan was frustrating for me. But it pushed me to continue and to improve myself. FP: Now I would like to hear the story of a moment of triumph. JL: In Rome, at some point, during a dinner. Before saying anything I used to build the entire phrase in my head, from beginning to end, and then speak. Suddenly, that night, I stopped doing it. And that is the crucial, fundamental step: it means that you are finally immersed in the new language. You think in Italian, without noticing. From that moment on, there was a significant change. FP: Jhumpa is your nickname. It was the name you always went by with your family, and then with your friends at school, because your real name, Nilanjana Sudeshna, was too difficult to say. How does it feel to have the whole world call you with such a private name? Does one ever get used to it? JL: I have now, yes. I have no choice. Italians, I have to say, tend to pronounce my name very well. While Americans are not so good at pronouncing it, unfortunately. They say Jhampa with an A, and that makes me want to cry! Obviously Jhumpa is not an Italian name, and yet Italians are able to pronounce it. And this, for me, is another sign: I say to myself that maybe I truly belong to this language, to these people, to this place. FP: Before writing this book you wrote two collections of short stories and two novels. Writing a novel and writing short stories are two very different crafts, I think: writers of short stories are in a certain sense a different kind of writer. They are word-chiselers. What do you love the most, in writing short stories? JL: The attention to every single word, and also the trajectory. It is more interesting, shorter, and more intense. You already have a finish line in your mind. I say to my students: in a short story every word, every phrase has to play a role, otherwise it has to go away. When I was writing my second collection, Unaccustomed Earth, there are longer stories there, because I was influenced by Alice Munro, Mavis Gallant, and I wanted to write a longer, wider type of short story. The first collection was more influenced by Garcia Marquez, Chekhov, and their concise, essential writing. Now, in Italian, my writing is becoming like that: more basic. FP: When did you realize that you wanted to become a writer, and why? JL: It took me a long time to get to that moment, to the decision to be a writer, to try to. I was 30. And now that I teach in college it strikes me how my students, who are so young, know this thing about themselves already. It’s shocking. I was much more confused at their age. FP: So you were not one of those kids who dream of becoming writers? JL: No, it felt like an unreachable goal, too strong a statement. As a child and then as an adolescent I was very insecure, lost, shy. But shyness often blossoms into a creative calling. Actors are often shy people, for example. And writers too, because they mostly are people who, in their childhood and adolescence, have read a lot, alone and in silence. Solitude is an essential element for a writer. To me, this path became clearer when I was 30. I did my P.h.D in Boston, and I was under a bit of pressure: my parents wanted this so much, they wanted me to go on and have a more practical job, like teaching in college. At some point, though, after finishing my P.h.D., I decided not to look for a job at a university, and I went away: I received a fellowship for a wonderful place, the Fine Art Works Center of Provincetown, in Cape Cod, that every year gives some money to a small group of artists and writers to live in solitude. It’s a splendid opportunity to live in this wonderful place in winter, and have a lot of time on your hands, and nature around you. That retreat was a very important opportunity to write: seven months in Cape Cod feel almost like an entire life. And that’s where I started: where my dedication, my path started. FP: What is the main lesson you try to teach your students at Princeton? JL: The importance of reading. You have to read, read, read. This year I taught, with few exceptions, Italian authors only. I dedicated last semester’s class to writers with ties to Turin. We read two novels by Cesare Pavese, then Natalia Ginzburg, Primo Levi, and Italo Calvino. The whole class was almost a single subject on the publishing house Einaudi! I have fun, and it’s also exciting. I ask: “Guys, have you ever heard of Cesare Pavese?”: total silence. Pavese, to me, is a constant source of inspiration. “Guys, Natalia Ginzburg?”: silence. Same for everyone else. Being able to introduce these writers that are now fundamental to me—oh, it’s so beautiful. Unfortunately the course is in English, so everything is translated. But this, I hope, is my small contribution. I tell my students that I can’t teach anything because the real teachers are on the bookshelves. I tell them: Think about what I’m trying to convey to you in class, but then go to the library, because that’s where the real writing is. FP: You translated Ties by Domenico Starnone. You and Starnone are very close: what is it like, to translate the work of a dear friend? FP: You were just honored with the title of Knight in the Order of Merit of the Italian Republic, one of the most important decorations we have in Italy. I know what Italy means to you, so I would like to know how this makes you feel. I bet it was moving. JL: Enormously moving. I am so touched. I have always been struck by the openness of Italy—by how welcomed I have always felt—but this honor came as a surprise, and it represents a milestone in my life. I think about the past five years spent on this path towards Italian, and I am grateful for each step I have made. It is a path I have chosen for life. FP: One last question: you wrote that “the need to write derives from desperation and from hope.” For you, what was desperation, and what was hope? JL: I was desperate because I did not want to accept another, safer, path. I chose the riskier one, but the one that in the end is good for me and makes me happy, makes me a fully self-realized person and woman. And I’m not talking about success. I mean: doing what I love and making a living out of it. This was my hope. Francesca Pellas is an Italian reporter living in New York. Before moving to the US, she worked in publishing for several years in Italy (and still does, from here, for an Italian publishing house specializing in American literature). Books are her amusement park and one of her greatest loves.